Renae B. asks: Where did the idea of werewolves come from? The clouds part on a dark night to reveal a full moon shining ever so bright. Somewhere in the distance, there’s a shout, a cry and a roar of struggle. Hideous noises pierce the still air as a sharp knife through flesh. Finally, silence and everything is still. That is until a wolf’s howl echoes from the ground towards the heavens before its descent to hell. It’s clear a werewolf is amongst us, but a mere look at one’s reflection will reveal that werewolf… is you. Werewolf legends have been haunting humanity for, perhaps, as long as humans have been aware of wolves. It’s rather difficult to pinpoint the first literary reference to what we now call “werewolves,” but the Epic of Gilgamesh, written in 2100 BCE in ancient Mesopotamia, seems to be the first that has survived through today. In the poem, Gilgamesh refuses to become the lover of Ishtar, a goddess who has a reputation for turning men into wolves. Luckily for Gilgamesh, this fate does not befall on him. 1500 years later, the Greek historian Herodotus wrote of a tale he had heard in his travels of a people who turn into wolves for only a few days a year. Ovid’s The Metamorphoses, written in 8 CE, tells a tale similar of the one in Epic of Gilgamesh, involving a vengeful god (this time, Zeus). In a nutshell, Zeus decided to pay one King Lycaeon a visit, but His Majesty didn’t believe for a second his supposedly divine guest was the real McCoy. King Lycaeon decided that feeding his visitor human flesh during a banquet held in his honor would be the best way to prove his hypothesis. If Zeus was really a god, he’d presumably see through the ruse. It also didn’t help that Lycaeon attempted to kill Zeus in his sleep. Needless to say, Zeus did not take kindly to Lycaeon’s behavior. He turned the unfortunate king into a werewolf, figuring if Lycaeon enjoyed serving and eating human meat so much, he would be better off inhabiting the body of a wolf. Pliny the Elder and Virgil also wrote about humans turning into wolves as a punishment for various crimes. The 13th century Nordic Saga of the Volsungs is a story of how a father and son don wolf pelts, which turns them into wolves for ten days. They go on a human-killing spree before the father turns on the son, nearly killing him. The son survives thanks to a kind raven. As for the creatures themselves, it’s obvious that the basis for werewolves came from this ancient idea that wolves were violent creatures that had a taste for human flesh. But was this perception of wolves true? Probably not, and particularly not today. While wolves are opportunistic hunters (even killing members of their own pack if starving or one is sick and dying), in reality, wolves rarely attack humans. However, it should be noted that this is partially a function of their massively diminished population today, and also that they aren’t stupid, and quickly learn humans are much more dangerous prey than, say, a deer or a rabbit. Another factor is if they are sick, such as if they’ve been infected with rabies. In this case, they can be very aggressive, disoriented, be seen during the day and lose their sense of fear in this case. This sort of thing, combined with significantly larger numbers (meaning more frequent encounters with humans) throughout much of history, is speculated to be what probably lead to the belief that wolves desired human flesh, even though all evidence is they prefer much easier prey whenever possible. In any event, the werewolf myth really kicked into gear during the latter portion of the Middle Ages. As alluded to, wolves were very common throughout Europe at the time. They were also something of a nuisance, getting into chicken coops and attacking other small livestock under the cover of darkness. From this, it should come as no surprise that “wolf” eventually became a derogatory term to describe those who were willing to do anything to fulfill their greed. Soon, wolves – like witches – were lumped in as products of the Devil. 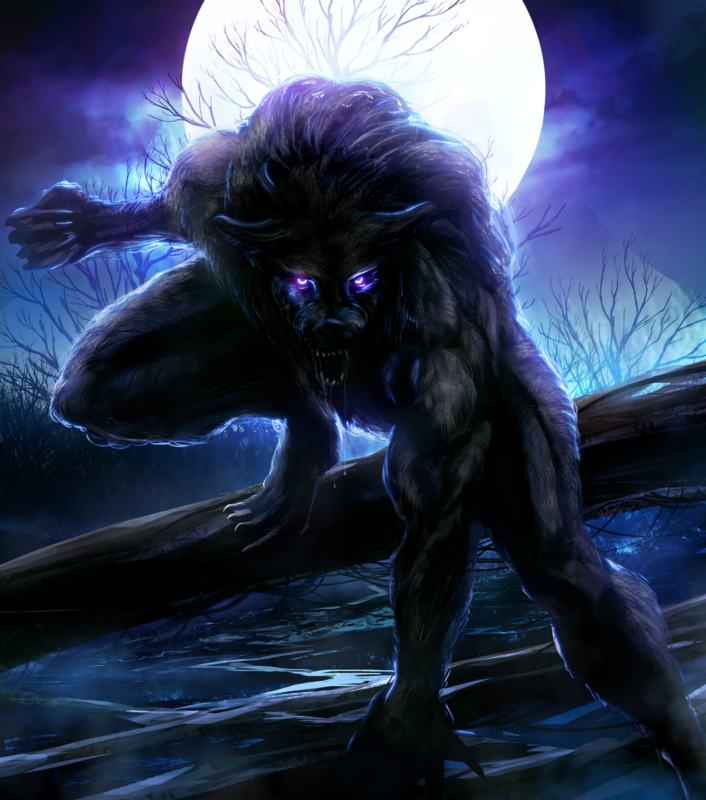 The term “lycanthropy” was also coined around this time and it refers to mystical shape shifting, often into a wolf. Due to this, violent crimes of the day were sometimes blamed on the Devil’s association with wolves. For example, in the 15th and 16th centuries, several highly publicized killing sprees were blamed on so-called “werewolves,” or men who claimed they had turned into wolves. To wit, Frenchmen Pierre Burgot and Michel Verdun murdered several children in Medieval France. When interrogated, they claimed it was because they procured an ointment that had transformed them into wolves. They were promptly burned at the stake. Another Frenchman, Gilles Garnier, known as the “Werewolf of Dole,” also claimed that an ointment turned him into a wolf which led him to kill children and eat them. He was also burned at the stake. Even more famously, it was during this time when German farmer Peter Stubbe was accused of a series of violent murders. According to legend, he said he had made a pact with the Devil who had provided him a magic belt that transformed him into a wolf. For years, this “werewolf” stalked the German countryside, hunting animal and humans alike. Even though Stubbe was dead and gone, his high-profile gruesome story and execution ensured that werewolf legends would remain a part of the collective conscious for some time to come. Because of this and other such stories, there are those that believe that the popularity of the idea of werewolves in this era was actually just an attempt to explain the phenomenon of the serial killer, as people found it easier to believe that an animal – or monster – was responsible for crimes considered too heinous and unspeakable for any human being to commit. And given some of the confessions, like Peter’s, were extracted under torture, it’s not out of the question that the suggestion that the individuals did it because they were actually werewolves was proposed to said individuals to confirm before the torture would stop. As for how a full moon came into connection with the werewolf myth, that seems to be a relatively modern phenomenon – perhaps even first popping up as recent as the late 19th century. Unfortunately it isn’t known who first came up with this idea, but given the nocturnal nature of wolves, and that under a full moon you might be more likely to see a wolf, it’s not a stretch to see how the association might have come about. It also may have been attached to the long-held notion that full moons lead to more acts of violence and unusual behavior, which may have originally been a byproduct of the fact that a full moon simply means ample light for humans to do nightly activities. If you’ve ever been out far away from city lights during a full moon, you’ve likely experienced the fact that said light is perfectly sufficient to see extremely well, even hundreds of yards away, just more or less with the world in black and white, rather than color as in the day time. Before widespread artificial lighting, this allowed for somewhat atypical outdoor night-time activities. Whether that’s really the source of the idea or not, studies have found there’s no correlation between a full moon and any of these types of behaviors today. However, the endurance of the idea as a real thing may be a phenomenon of illusory correlation or confirmation bias- as in, the perception of an association that does not in fact exist. That is, if one witnesses an act of violence or weird behavior and, then, realize it is a full moon, said individual will draw the connection because they’ve heard there is a connection, casually ignoring all the times a full moon came and went with no such weirdness. A similar thing is likely how wolves themselves got the reputation for being bloodthirsty creatures who love eating humans, despite this seeming to have been a rare occurrence, even historically, and even more so today. Still, on dark nights when wispy clouds race over the face of the moon, it’s not hard to imagine the primal fear our ancestors felt when they heard the wild howl of the wolf nearby. After all, even in our enlightened age, we all still run like mad up the stairs after shutting off the lights in the basement. Not this time basement monsters. Not this time. Wolves will use echos to their advantage at times, often as a defense mechanism. A few wolves in a small pack will howl all at the same time changing pitches very rapidly. This, combined with potential reverberation, will often make an enemy think there are more of them around. On that note, during the Civil War, Ulysses S. Grant once observed this when he reported thinking there were 20 or more wolves surrounding him, only to find out that it was just two wolves that were in front of him that changed their pitch rapidly; the echoes coming from all around him made it seem like he was surrounded. Wolves are opportunistic hunters, meaning they’ll eat pretty much anything they can get their powerful mouths on, even other wolves. In fact, in some cases they may even eat one of their own pack if it’s sick, dying, or dead. This sometimes includes wolves in their own pack that have been caught in a hunter’s trap. On that note, “Remus Lupin” is basically Wolf Wolf, since “Remus” is most likely taken from “Remus and Romulus” who were raised by a she-wolf.